Your Sleep Diagnosis: Apnea & Other Disorders | Advanced Sleep Medicine Services, Inc.
A full and refreshing night’s sleep is the foundation of a healthy, happy life. If you or a loved one are unable to sleep through the night, or are waking up still feeling tired and unable to focus, you may be one of the 40 million people currently living with sleeping disorders in the United States. The good news is that diagnosing a sleep disorder won’t prevent you from having a good night’s sleep. Just the opposite—once the sleep experts at Advanced Sleep Medicine Services, (ASMS) Inc. have diagnosed the cause of your sleeping issues, we’ll put a treatment plan in place so you and your family members have quiet, peaceful nights and start getting the sleep you deserve. It all starts with a simple consultation and sleep test that takes place in your home or overnight at one of our spacious, comfortable, private sleep centers. 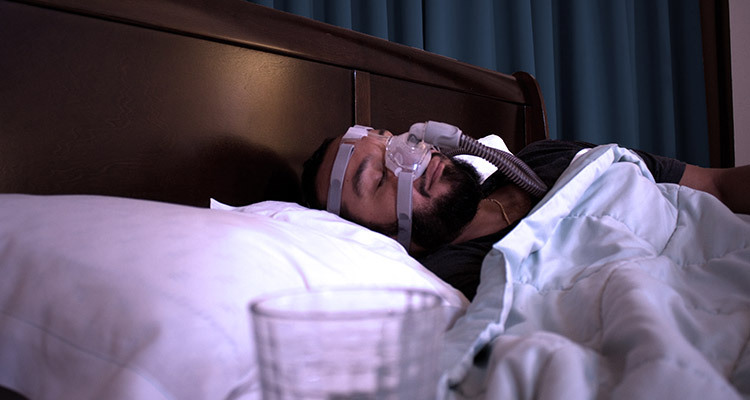 Our sleep specialists are here to help answer any questions you might have about the many different sleep studies available to diagnose sleep apnea and other sleep disorders. Some of these studies can take place in your own home, which is a great option if circumstance prevents you from coming for an overnight study. If you choose an in-center study at one of our many convenient sleep centers throughout California, you are provided with a private, comfortable room that features all the amenities of a hotel. We also offer sleep studies for children! We’re contracted with over 300 insurance providers, including preferred providers, government payers, and health maintenance organizations. We also make things easy for you by verifying your PAP insurance before your sleep study and treatment. This ensures that you’ll always be focused on getting the best sleep possible. Why is it Important to Choose an In-Network Provider? In our convenient, easy to use online store, you’ll find everything from CPAP machines and humidifiers to replacement tubing and accessories. Once you find the supplies you need, you can order them at any time and have them sent to your door. We also offer a helpful resupply program. When you sign up, we’ll send you what you need when it’s time replace your current CPAP supplies. With this program, you can rest assured that your device will always be working at its best, and you’ll always have a full night of restful sleep.